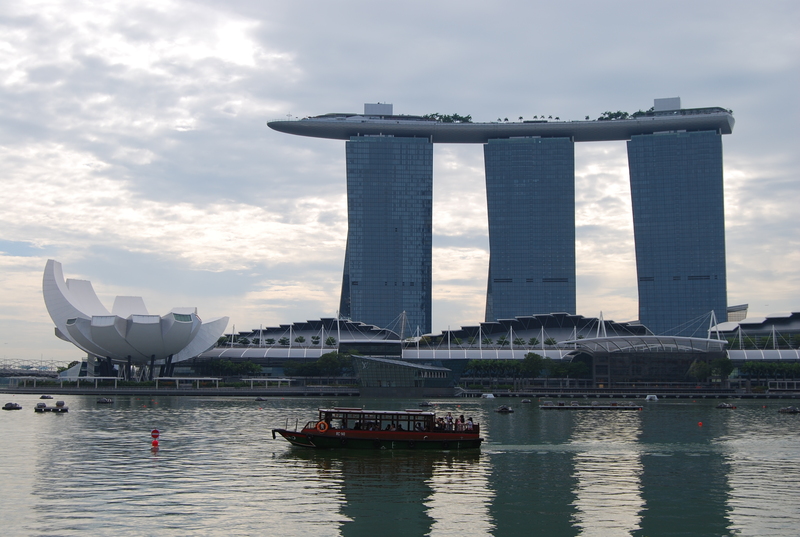 No matter how many times I’ve been to Singapore and despite the fact that it is small in size, every trip to the Lion City manages to bring me somewhere new. Due to its proximity to Manila, a weekend trip to this business hub serves as a fantastic break from the hustle and bustle of the metro. The city is always such a delight to arrive into – not only because of its spectacular airport – the number one in the world, but also because of the view you get of this incredibly clean & organized city. 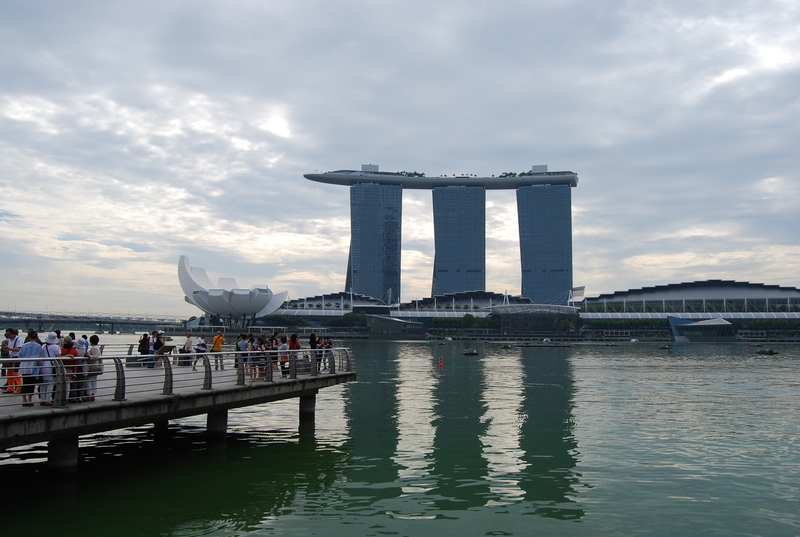 The first stop for this trip is one of the most popular attractions in the city, Merlion Park, which surprisingly is a place I’ve never visited during previous visits to Singapore. 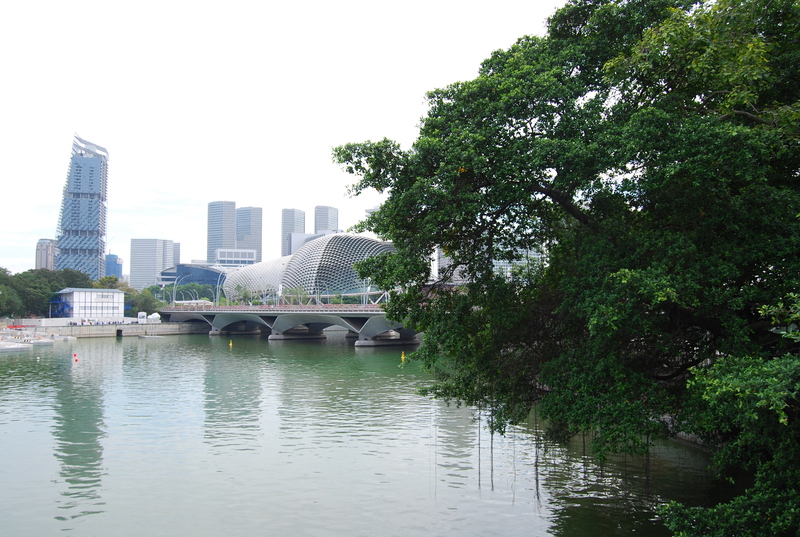 The park is located right in front of the iconic Marina Bay Sands, across the Singapore River. 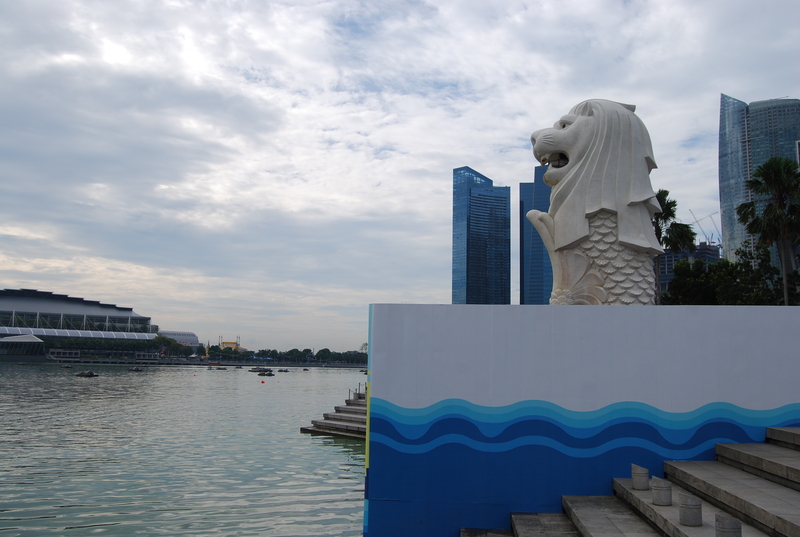 The Merlion was originally installed in 1972 by then-Prime Minister Lee Kuan Yew, who is responsible for the progressive changes brought about during early-Singapore. 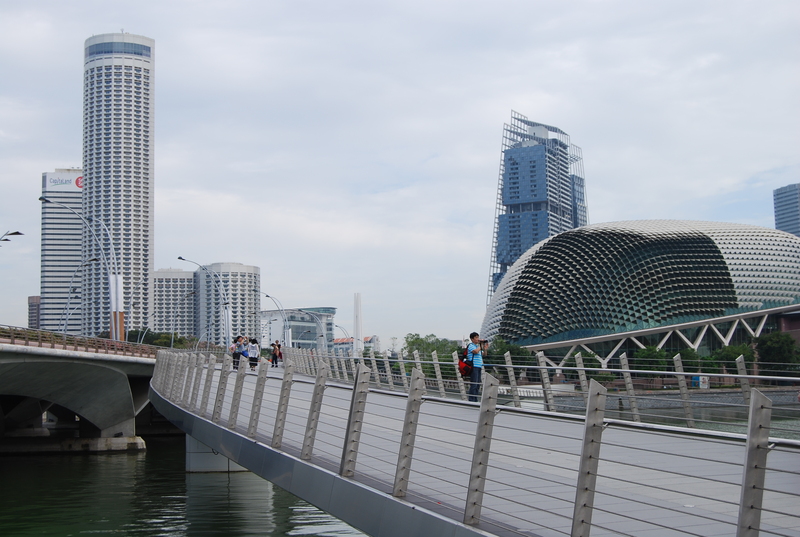 Surrounded by the river and walkways all around, Merlion Park is a great place explore, whilst getting good vantage points for the best photos of the city. 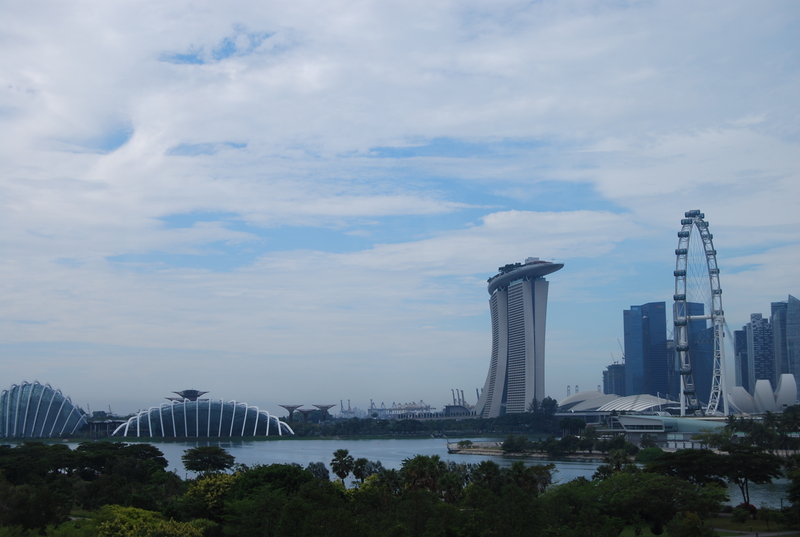 Take for instance the view you get from when you stand right beside the Merlion statue, you’ll see the sky-high Marina Bay Sands with cotton clouds as its backdrop. If you’re already in the area, you might as well pop into the luxurious Fullerton Hotel for some tea. 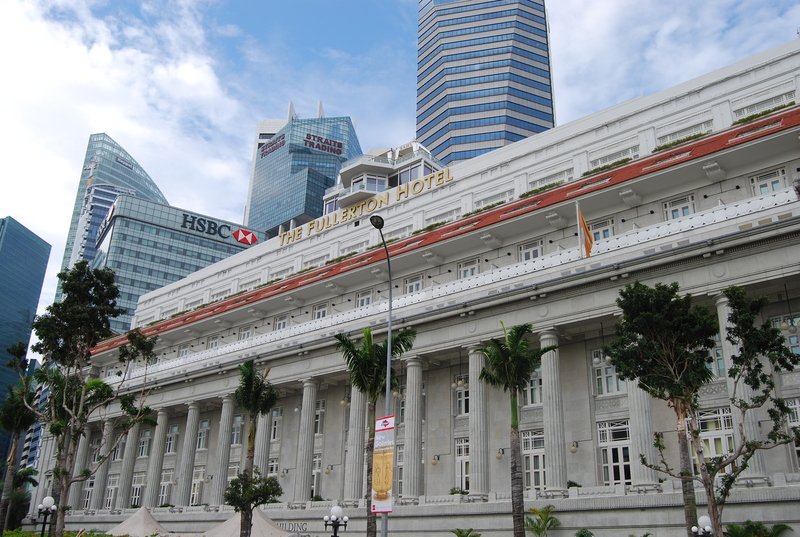 Interestingly enough, though more popularly-known as what used to be the General Post Office Building, the Fullerton Hotel was used as a hospital during World War II precedent to the British surrender to the Japanese in 1942. 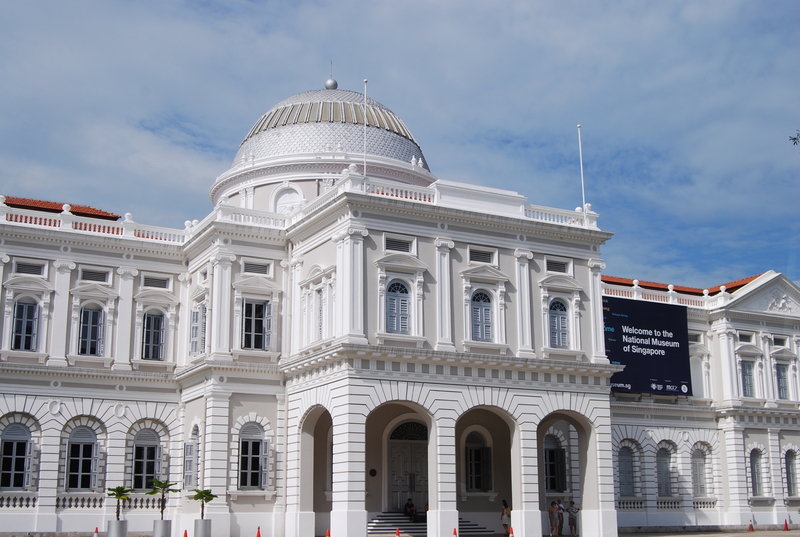 During the next visit, I’ll make it a point to see more of Fullerton Hotel, so I can come up with a more in-depth post about this important piece of Singapore history. 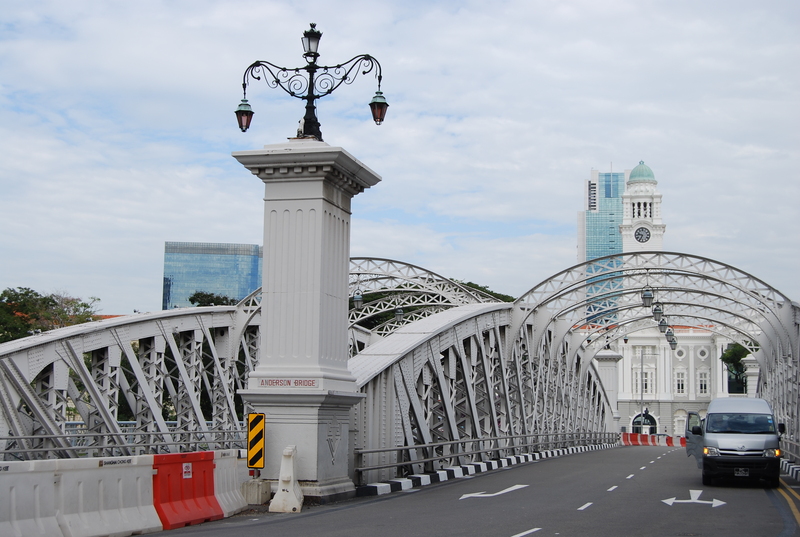 Just a short walk away from the Merlion and right across Fullerton Hotel is Cavenagh Bridge, one of the oldest bridges in Singapore and what used to be called the Edinburgh Bridge back in the day. 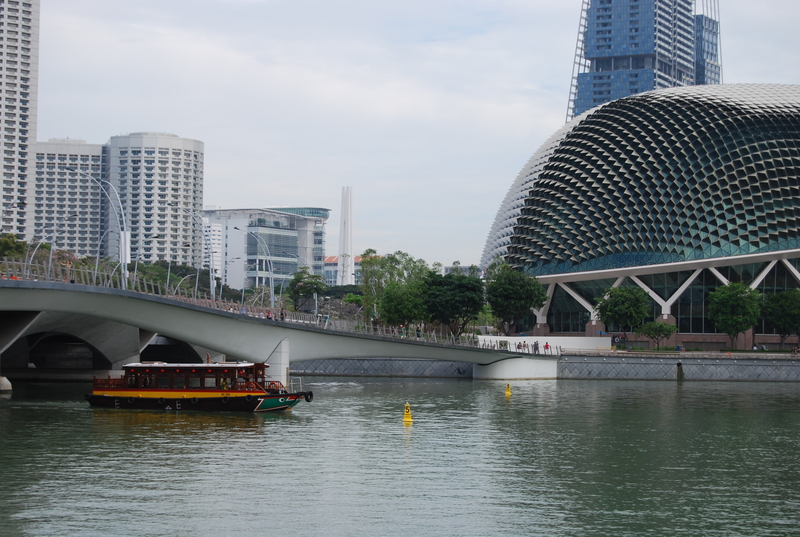 From the bridge, you’ll get a glimpse of the Esplanade, the country’s renowned Centre of Performing Arts. 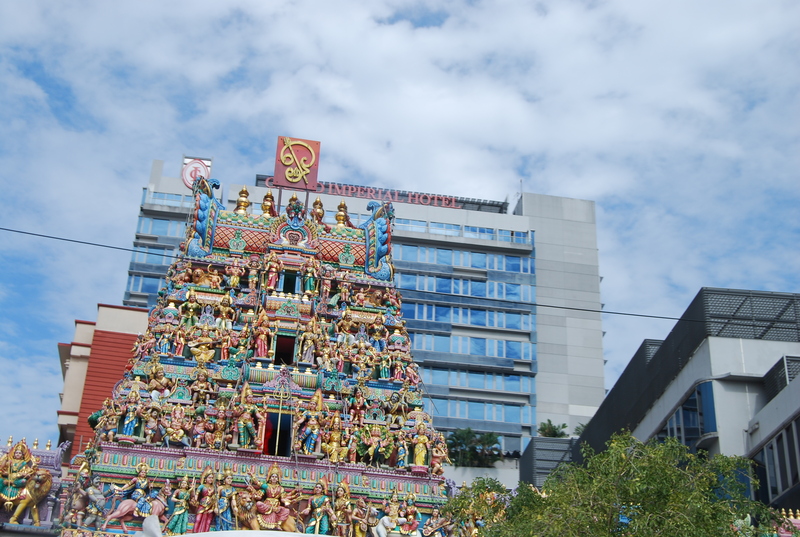 On the drive to Kampong Glam, yet another attraction we never had the chance of visiting, we drove past some of the city’s most popular tourist spots: Clarke Quay, the National Museum, and one of Singapore’s Hindu temples – and also one of the oldest – Sri Veeramakaliamman. I dare you to pronounce that perfectly; I know I can’t! 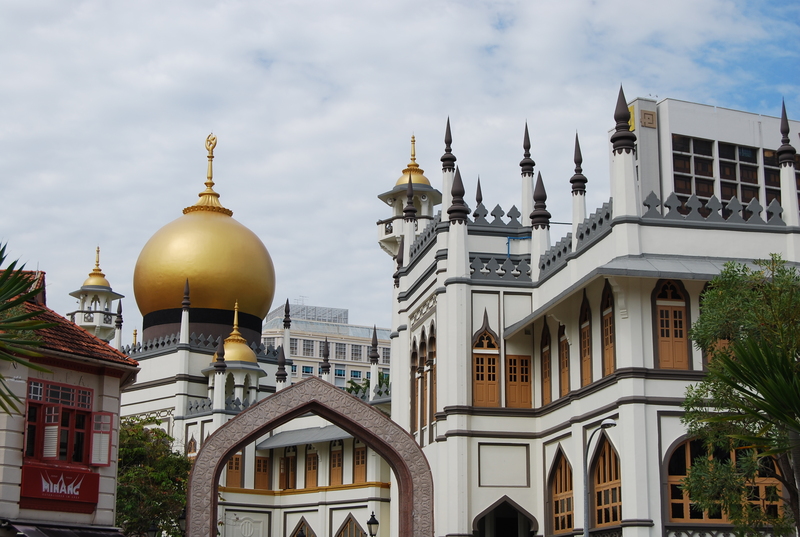 Kampong Glam is a neighborhood in Singapore whose Native-Malay heritage remained throughout the years, evident in the architecture and structures in this area. 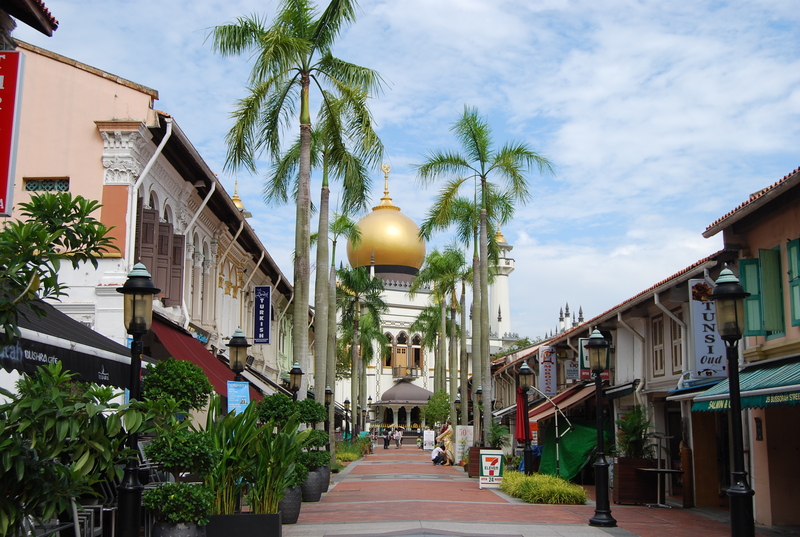 Pictured below is the Bussorah Pedestrian Mall, with Masjid Sultan (Sultan Mosque) at the end, which I honestly would never have guessed was in Singapore had I not been there. The Mosque is rather large, as it can hold up to 5,000 people and extends to its neighboring roads. A symbol of the community therein, it looks amazingly well-maintained and rather new despite it being built in the late 1920s. 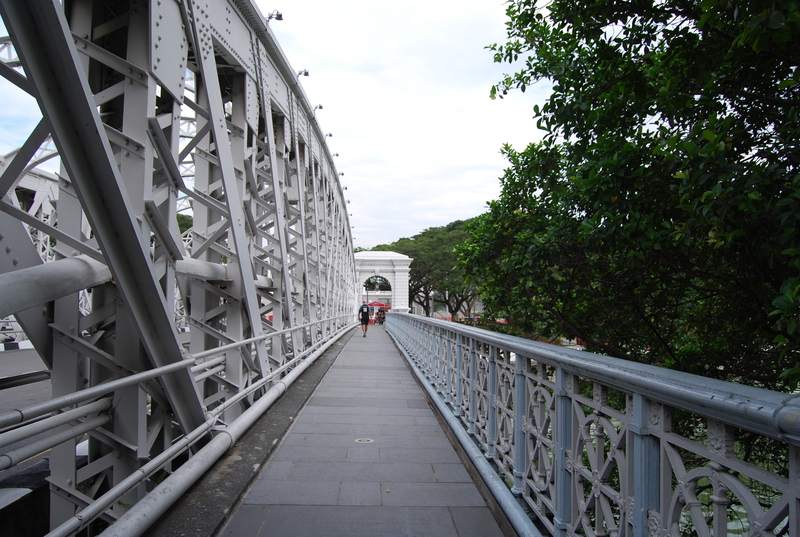 Truly, this is the very icon of Kampong Glam. 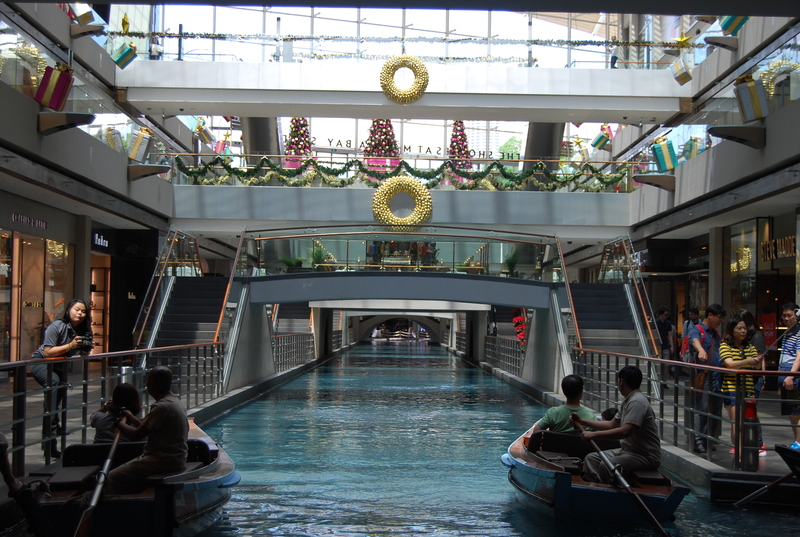 The rest of this year’s trip to Singapore was spent in our all-time favorite mall in the world: Marina Bay Shoppes. 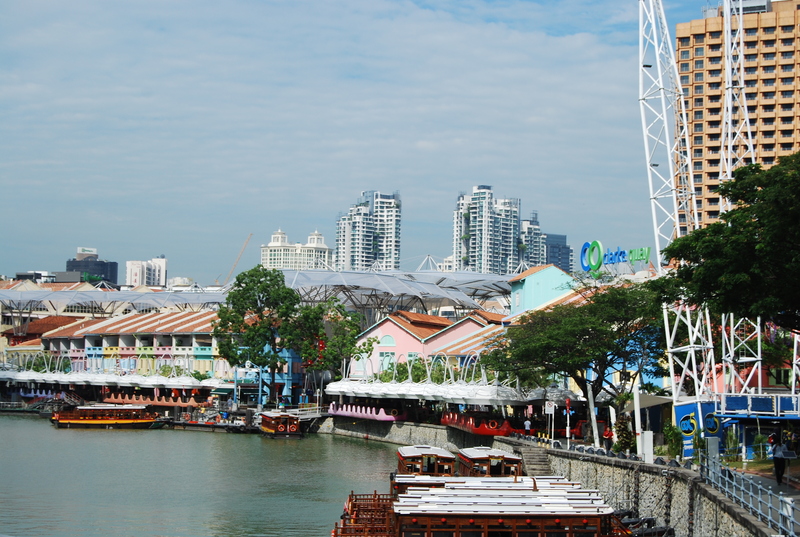 There’s just something about it that keeps me coming back for more – be it the food, the shopping, or the entertainment; just like Singapore as a country. 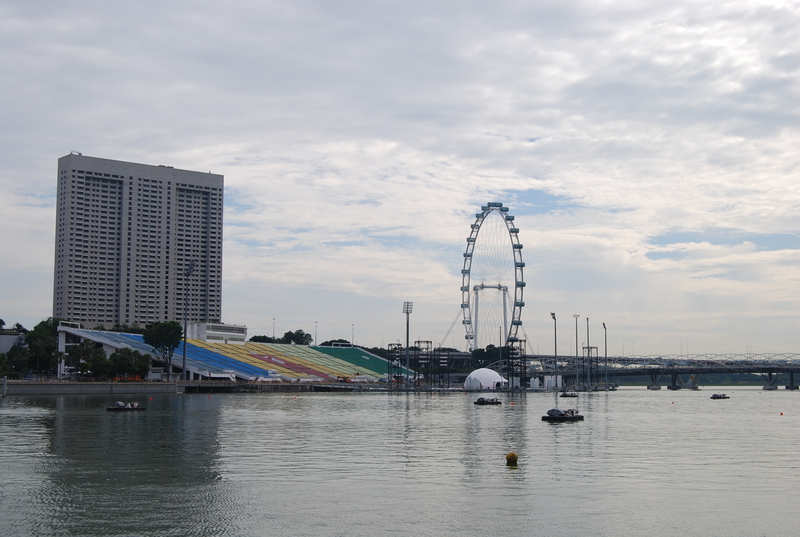 Till the next trip, Lion City!